Earth Day is upon us! This is the time to ponder our relationship with our one and only planet. In this regard a major force for me has been Mt. Tamalpais, the “crown jewel” being MMWD’s watershed lands. The Mt. 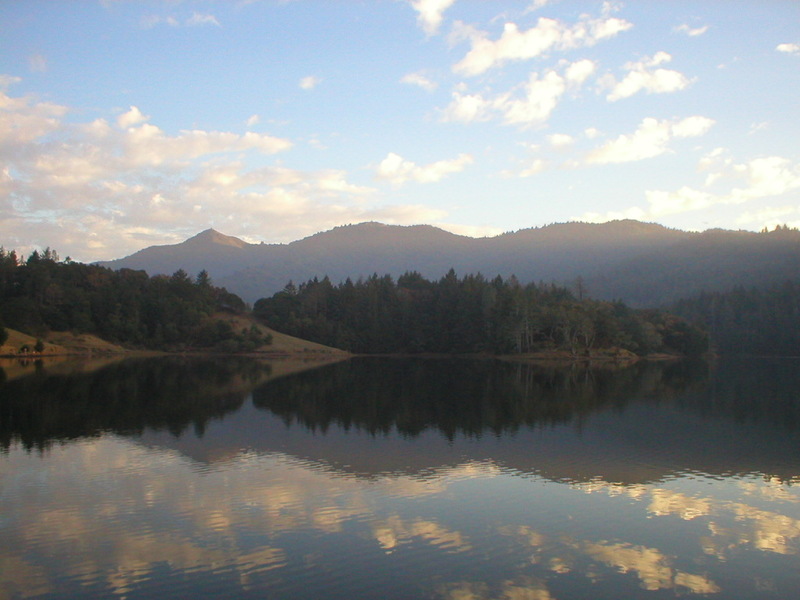 Tamalpais Watershed consists of five reservoirs and primarily the north-facing slopes of the mountain that shed rainwater into them. These “lakes” have been here long enough that they are now a focal point for the diversity of flora and fauna found here. Camping, hunting, swimming, and boating are a no-no and cars have very limited access, so it’s an oasis of sorts for natural processes to occur with minimal human disruption. While the “purpose” of these lands is to provide clean drinking water, requiring wise ecological practices, we are also blessed with their biodiversity and many recreational opportunities. The natural resources staff work out of Sky Oaks Watershed Headquarters located in the hills above Fairfax and in close proximity to three of the reservoirs. Their volunteer program offers abundant opportunity for young and old, all geared toward environmental education, wise resource management, and furthering community spirit. As a volunteer and near-daily visitor to the watershed lands myself, I see folks come to visit with smiles on their faces. Many of them are “regulars” who tell me they feel the same way I do about the area—it is a place of peace and sanctuary. I’m amazed how many come from other countries, but I’m most surprised when I meet local people who had no idea all this was here. Come develop your relationship with your watershed—for Earth Day and any day. Experience a fine example of how humans can make use of natural resources in an intelligent and sympathetic manner for everything and everyone to share. This is installment three of a 12-part series on grasses. Read the previous installment here. Last month I talked about California’s state grass, purple needlegrass (Stipa pulchra, formerly Nassella pulchra). This month, California’s state rock, serpentinite (although we usually just call it serpentine since it’s made up of serpentine minerals), takes center stage. California was actually the first state to designate an official rock, but serpentine is special and, like our Mediterranean climate, helped give rise to plants found nowhere else in the world. The spikelets of barbed goatgrass look a little like goat heads, although that’s not where the name comes from. Because of the makeup of serpentine rock, and its slow weathering, serpentine soils are thin, poor, and high in heavy metals. The mineral balance is quite different from what most plants can tolerate, so many plants found on serpentine are endemics: they’re only found on this soil type. Others can grow on serpentine and non-serpentine soils, but may be stunted or appear different when living in the strange soil. Many weeds take advantage of disturbance and can quickly use resources, outcompeting other plants. But serpentine’s qualities make it naturally resistant to invasion, with a few notable exceptions. That brings us to this month’s grass: barbed goatgrass (Aegilops triuncialis). Originally from serpentine soils in the Mediterranean region and Eastern Europe/Western Asia, barbed goatgrass can thrive in our soils and climate. Not only does it do well on serpentine, the high silica content of the litter it produces is difficult to break down, further altering the soil and making it even harder for other plants to grow! 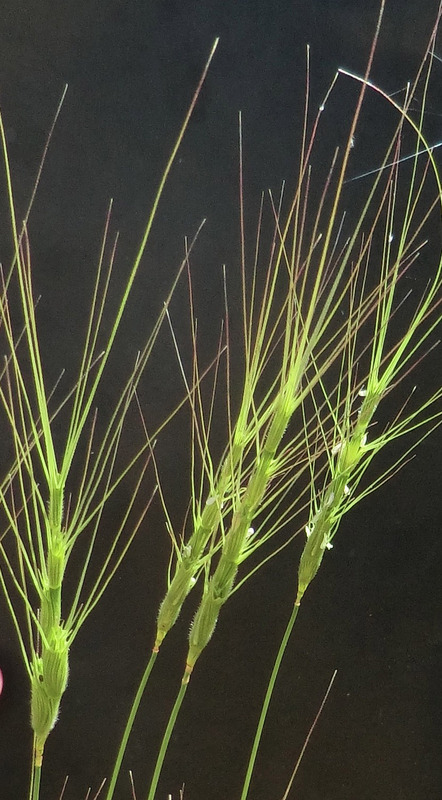 Goatgrass also has a built-in seed stashing strategy: Each spikelet generally has two seeds—one germinates the first year, and the other lays dormant for a year—so even if you get all the plants in a year, the seedbank of this annual has a surprise waiting for you the next. On May 17, help pull invasive barbed goatgrass in this beautiful spot. Nearly half of our rare plants are found on serpentine soils, which makes these areas so important to protect. You have an opportunity on May 17 to help remove invasive barbed goatgrass from serpentine soils on Mt. Tamalpais, in the Azalea Hill/Pine Mountain area. We’ve been pulling goatgrass from this site for many years, and stemming the tide of invasion. Nine different rare plants call this spot home, and jackrabbits and kites are often seen as well—not to mention our state flower, state bird, and state rock! Why Frogs Are Cool and We Should Do Our Part to Save ‘Em! They are one of earth’s best indicator species. Their ability to breathe through their skin and their reliance on clean water and clean habitat free of toxics and pollutants means that they are extremely sensitive to changes in the environment. It should be a warning sign to all that if frogs are not doing well, then something is wrong. They serve as a critical part of the food web. Not only do frogs provide a meal to other animals like fish, birds, dragonflies, beetles, and snakes, frogs also prey upon insects such as mosquitoes, which may be vectors for nasty pathogens such as West Nile virus and heartworm. They provide medical researchers with the potential to improve human health. Many pharmaceuticals used to save millions of lives have come from the skin secretions of some very special frog species. Some examples include medicines that help block HIV transmissions, reduce high blood pressure, and treat antibiotic-resistant staph infections. The sad part is that on a global scale one-third of the world’s amphibian population is diminishing. On a local scale it is just as depressing. The foothill yellow-legged frog population has disappeared from more than 45% of its historic range in California and Oregon, in part due to habitat loss, pesticide use, introduction of exotic predators, disease, water impoundments, logging, mining, and grazing in riparian zones. Kermit was right when he said, “It’s not easy being green.” The current drought conditions are certainly not making matters any better for wildlife. All is not lost, however. There are many things you can do to give frogs a break and make it easier for them to survive and reproduce. Conserve water: Clean, cool water is a precious resource and should be conserved at all times but especially during a drought. Simple graywater systems can be implemented around your home; some are as easy as using a bucket to catch water from your sink or tub to flush the toilet! Avoid pesticides: They end up in waterways and harm amphibians. Don’t use them around your home and don’t support them by purchasing fruits and vegetables that are sprayed with them. There have been several examples showing declines in frog populations near agricultural areas and fatal mutations in frogs exposed to herbicides or pesticides. Reduce, reuse, and recycle! Do these in that order and not only will your wallet thank you but the planet will, too. Volunteer to become a frog docent at the water district. Spend a few weekends at Little Carson Falls, a popular hiking destination, informing visitors about the frogs’ plight and keeping foot traffic out of the frogs’ sensitive breeding habitat. The training will be held Saturday, February 22, from 9:00 a.m. to 2:30 p.m. For more information and to reserve a spot, contact volunteerprogram@marinwater.org or call 945-1128. 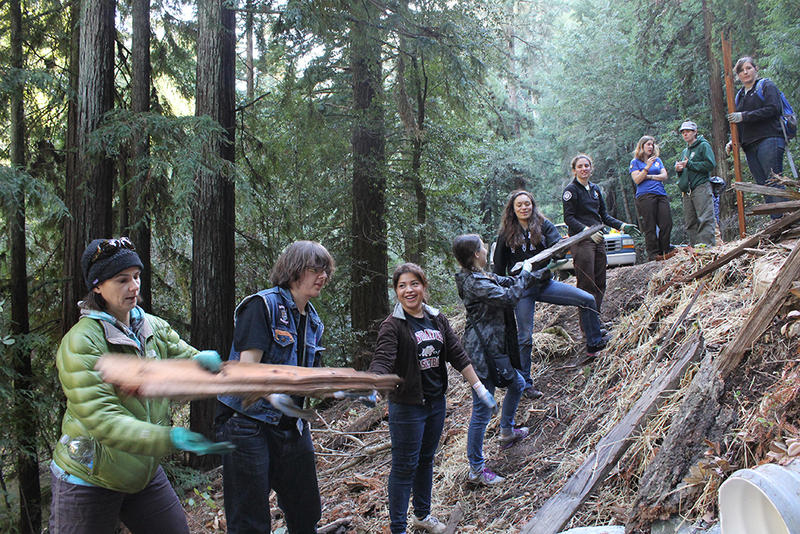 The Americorps California Conservation Corps Watershed Stewards Project in partnership with Marin Municipal Water District hosted a volunteer Lagunitas Creek habitat enhancement on Saturday, November 23, and it was a huge success! Following a large woody debris installation to improve coho salmon habitat in the creek, the disturbed bank was in need of some rehabilitation. Thirty motivated volunteers spent their Saturday planting the creek bank with native trees, shrubs and ground covers. Re-vegetating this bank will not only reduce erosion and excess sediment flow into the creek but will also provide shade and cooler water temperatures that salmon need to thrive. The day started at the Leo T. Cronin Fish Viewing Area parking lot, where volunteers could read interpretive signs about spawning salmon and try to catch a glimpse of one in the creek while waiting for everyone to arrive. Sipping hot chocolate and tea, we huddled together in the cold morning to talk about our goals for the event. With the volunteers, we made our way down to the site and went straight to work planting the potted plants and transplanting sword fern, redwood sorrel, blackberry, and thimbleberry. At lunch we gathered around the newly installed large woody debris structures and listened to Eric Ettlinger, an aquatic ecologist for MMWD, talk about the role of woody debris as winter habitat for salmon. Lastly, volunteers helped with trash clean up and brought in woody debris to block off footpaths down to the creek to ensure their planting efforts would remain undisturbed. At the end of the day a total of 48 plants had transformed the formally barren creek side. It was an incredibly successful day and we are so thankful our volunteers came out to help the watershed. We look forward to watching the progress of the plants and seeing this bank returned to the healthy ecosystem it once was. For 16 days in October the federal government ceased all but the most essential operations. But our lands and the creatures that inhabit them do not curtail their operations when we humans hit a budget impasse. 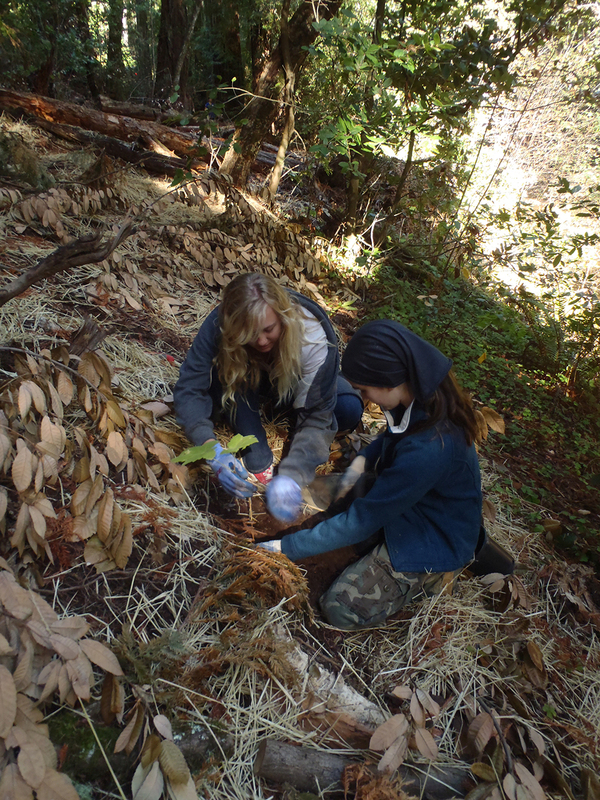 Luckily for MMWD, interns from the Golden Gate National Parks Conservancy, who unexpectedly found themselves with free time, volunteered with MMWD for two days in October helping with habitat restoration and vegetation monitoring on the watershed. We were so happy to provide meaningful work and training for them and to benefit from their enthusiastic assistance. The following summary of the two-day event is by Jaimie Baxter, a former MMWD Americorps intern and watershed aide. She is currently the trails stewardship manager for the Golden Gate National Parks Conservancy. 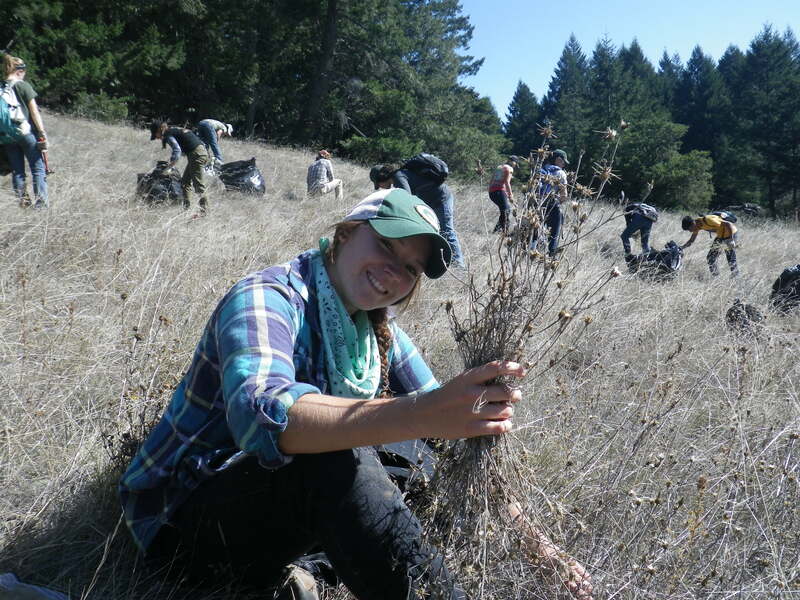 GGNRA intern pulling yellow star thistle. On Wednesday October 9, more than 15 Golden Gate National Recreation Area (GGNRA) Park Stewardship interns and staff congregated near the top of Mt. Tamalpais at the Rock Springs area. This oak woodland and grassland area is known for its epic views, slabs of serpentine outcrops and hordes of rare plants. MMWD Volunteer Coordinator Suzanne Whelan and her two watershed aides explained the district’s mission of providing clean drinking water to their customers in south and central Marin County and protecting the 21,635 acres of watershed lands under their management. Director of Park Stewardship Sue Gardner then discussed the burgeoning Mt. Tamalpais Collaborative and the goals of all natural resource agencies in the area to join forces in the Mt. Tamalpais region. The thistle-pulling team of GGNRA and MMWD. After all that talking, it was time to get to work! MMWD and the Park Stewardship team strategized their assignment for the day — removing invasive, non-native yellow-star thistle (Centaurea solsitialis). Spreading out like a fan, the group surveyed the area for this invasive species, pulled and eventually bagged the prickly plant. The group was later joined by MMWD Vegetation Ecologist Andrea Williams, who discussed the interesting geology and ecology of serpentine soils, what makes a plant rare and ways that MMWD manages invasive species. And this was just the first day Park Stewardship collaborated with MMWD! The following day the same team plus a few Park Trails interns jumped to the north side of Mt. Tamalpais to the Sky Oaks Ranger Station. 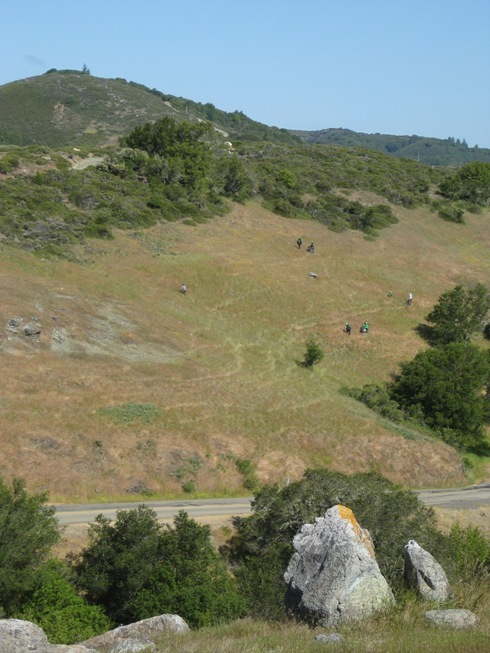 Thursday’s mission was to identify and map the non-native, perennial grass species in Sky Oaks meadow. This meadow ecosystem, which has been heavily managed in the past, is a good example of an oak woodland ecosystem. The meadow is relatively healthy as it is mostly free of French broom, has woody species that do not overcrowd each other and has at least three species of oaks. However the meadow is not without its problems, including Sudden Oak Death (Phytophthora ramorum) and non-native, perennial grasses. Our crew learned how to identify a multitude of these species including velvet grass (Holcus lanatus), sweet vernal grass (Anthoxanthum odoratum), wild oat grass (Avena fatua) and many more. The team then split into groups and headed off to map the non-native grasses using GPS-enabled cameras, compasses and datasheets. The team worked all morning and after lunch until they became cross-eyed from looking at SO many grasses! The day ended with a hike to Alpine and Bon Tempe lakes where much of MMWD’s drinking water is stored. 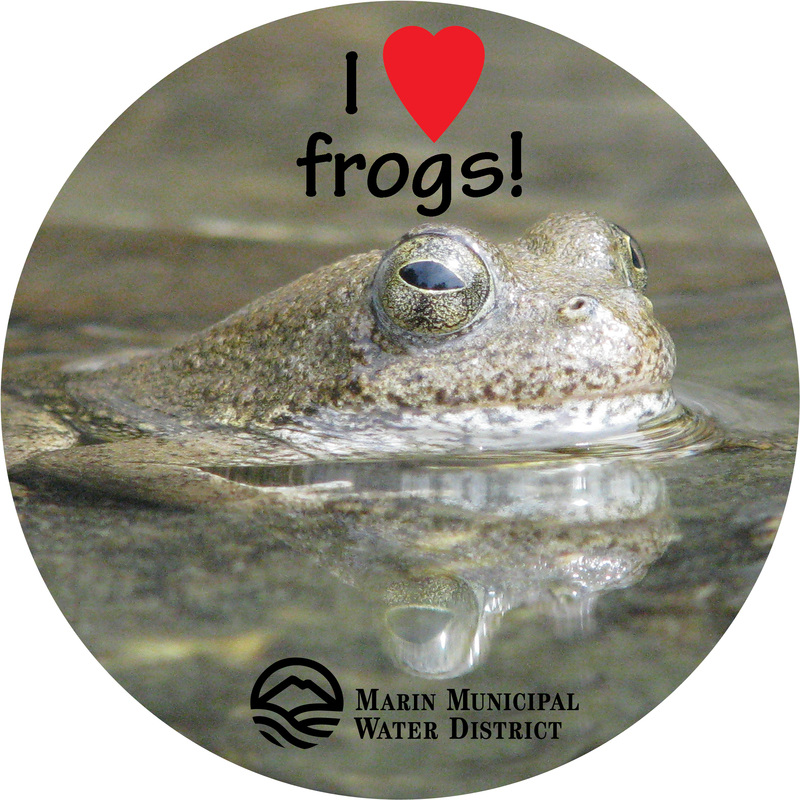 The Park Stewardship team is grateful to have a partner such as the Marin Municipal Water District. Thank you, MMWD, for your time, expertise and hosting Park Stewardship during the federal shutdown. We welcome any opportunity to join you in your efforts on the Mt. Tamalpais Watershed! Student volunteers on the Mt. 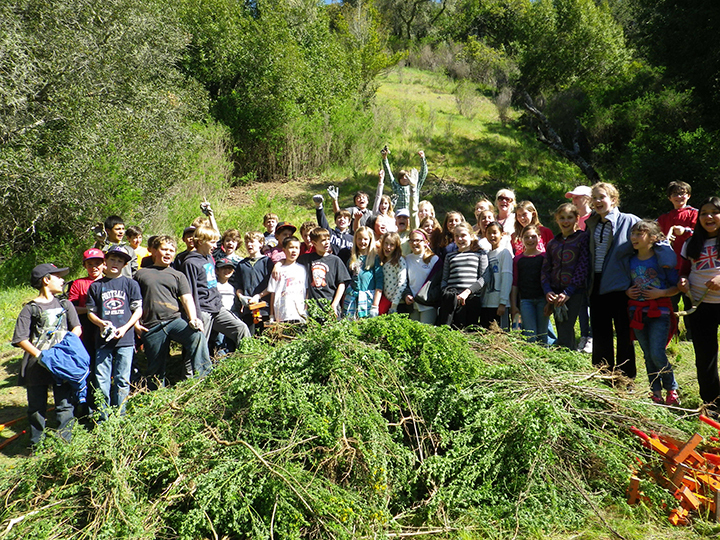 Tamalpais Watershed show off the results of their hard work—a mountain of non-native broom. The Marin Municipal Water District honored 40 volunteers at a special recognition lunch recently for contributing their valuable time to the protection and preservation of the Mt. Tamalpais Watershed during fiscal year 2012/13. These volunteers donated nearly 7,500 hours—the equivalent of $185,625 in labor—to activities like trail maintenance, habitat restoration and endangered species protection on watershed lands between July 2012 and June 2013. MMWD manages more than 21,600 acres of land on Mt. 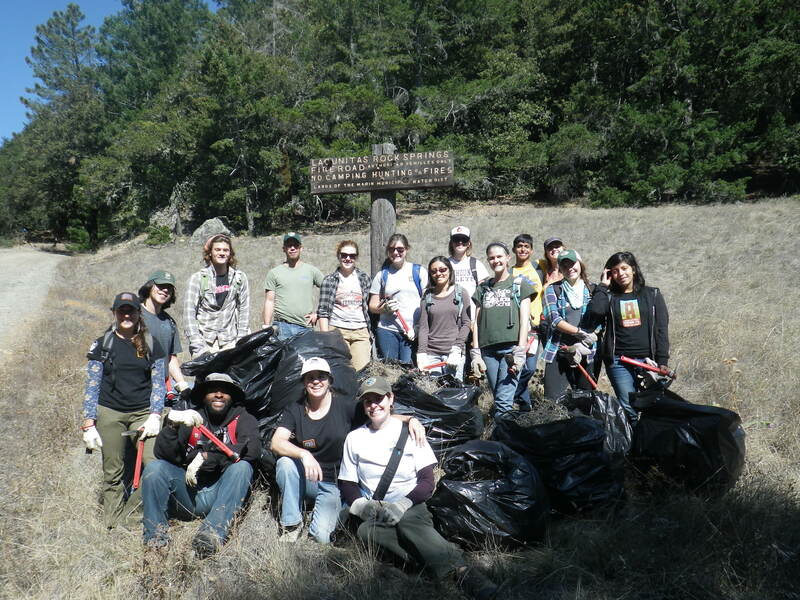 Tamalpais and in west Marin and counts on its volunteer workforce to help maintain and restore these lands. The Mt. Tamalpais Watershed is home to more than 900 species of plants and 400 species of animals, including 77 rare, threatened and endangered species. This abundance of life is threatened by many factors, including increased recreational use, invasive species and global climate change. Begun in 1995, MMWD’s volunteer program recruits individuals, students and entire classes to help improve trails and habitat; greet and educate visitors; restore habitat and collect biological data; and map native and non-native plants, sudden oak death and aquatic species. One third of the 900 plant species on the watershed were surveyed; samples will be housed at the herbarium of the California Academy of Sciences. Without the help of volunteers, many of the important preservation and stewardship projects on the watershed would not be possible. For more information about our volunteer program and to find volunteer opportunities, visit our website. Retired accountant Michael Miller regularly cleans 50 to 60 miles of Marin trails and roads. San Anselmo resident Michael Miller has taken this motto to heart. He’s been picking up litter all his life and took on the Mt. Tam Watershed and other sites in Marin in earnest after he retired in 2012. He spends about 20 hours a month cleaning the roads and parking lots along Sky Oaks Road and the Lake Lagunitas picnic area and an additional 20 hours a month on trails. He says the most littered natural area on the watershed is Natalie Coffin Greene Park in Ross and the roads around Phoenix Lake. Michael also spends a lot of time cleaning litter from Sir Francis Drake Boulevard from the bottom of White’s Hill through Lagunitas because it’s also a heavily littered area and as a San Geronimo Valley resident for 25 years he still considers it a special place. We’d like to acknowledge Michael’s volunteer work as well. His efforts are greatly appreciated and we admire his fortitude and commitment to keeping the watershed litter free. Better still, it would be great if there was no litter for Michael to pick up, so we encourage all visitors to set a good example and be responsible for your own trash.